Sometimes, the cool thing about gaming is that you will suddenly get the urge to play a certain game, and before you know it, the weekend is gone. That happened to me over the past few days. It's been a few weeks since I had played Assassins Creed Odyssey and when I woke up on Saturday morning, I had a sudden urge to play it. So I did. I probably spent most of the past 2 days just sitting on couch and playing and damn it's been a good experience. The thing that happens to me with open world games is I get really excited about the world that will unfold, but then other interests take over. Luckily, with the amount of content they put into this game, taking breaks throughout is certainly a good idea. Because when you come back, it all feels fresh and you're pretty much amped up and ready to go. Doing quests, killing bad guys and sometimes being evil and taking on my own people, collecting armor and new weapons. It's all great. Speaking of weapons tho, I made the decision to try to play the game with a different combat style than I've done in the past with these kinds of games. I always go sword and board or a duel set of swords. I instead decided to give the spear a try and man, it's actually OP. BUT that doesn't necessarily have to be a bad thing. What I learned with Middle Earth Shadow of War is that it really doesn't matter how powerful you feel because somebody 10 levels above you will take you out in one hit. Makes you want to continue to level up and take them on. Killing someone who's a few levels above you isn't a rare occurance in these kinds of games but its ****ing awesome when you feel good enough to take those enemies on. I have also said before that the combat system that is influenced by the Arkham games is easily the best style of combat you can put into a game like this. Its engaging, it's fun, and extra abilities just make it better. Especially when you spartan kick a mercenary off a cliff. Then shoot them with an arrow. It's good stuff. I dont think this will be the first time I take a break from this game but as of right now, I dont want to play anything else other than this. I hope somewhere down the line I'll have finished this game but obviously I'm going to enjoy every second until it gets to that point. I love fully completing games like this. Getting right into it, I want to talk about the picture I used as the header. Good ol' Megaton. While this may not necessarily fall directly into the category of a "building" but I find the entire structure to be fascinating enough to consider it one. This is one of the first places you see when you play Fallout 3 for the first time and it right off the bat gives you an impression of what you're going to be getting yourself into. Plus, I mean, it is nice that you can blow the place up too. That's pretty dope. Yeah, maybe not by the exact form of words, but Super Mario 64 is certainly close to being considered an open world game. I mean, regardless of how linear it feels when you go from floor to floor, you still have a lot of freedom to do what you want and where you want to go. You don't even have to go into the castle at all if you don't want to. 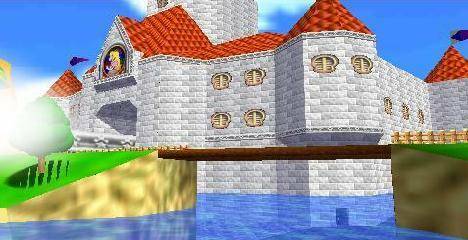 But I mention this because given the fact that Super Mario 64 is up there in being one of the best games of all time, the scenery in the game is certainly up there as well. The style of the castle in this game is unbelievable and really sets the scale for what you're going to get into. It's huge, it's 3D, it's awesome. Definitely one of my favorite things to see as a kid growing up. This will contain spoilers for Marvel's Spider-Man. Marve's Spider-Man on its own is a very very good game and one I had a blast playing. Definitely the city design and everything within it turned out amazing as well. 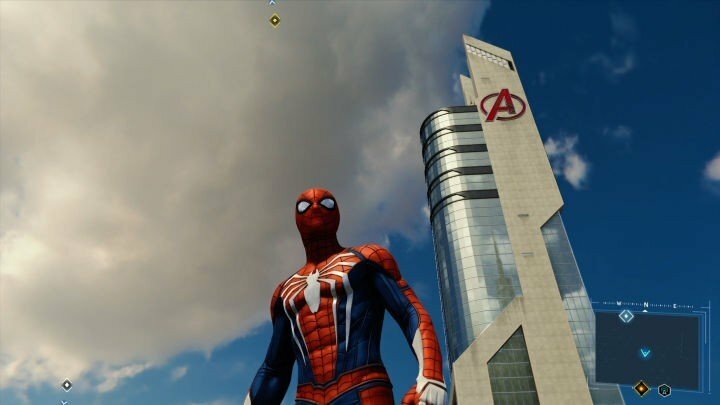 But I was actually blown away when I walked up to this and saw that it was actually in the game. And yeah, I made sure to climb all the way to the top because, well, I can. This is by far one of the coolest things to see in a video game, and to see it done so well is really nice too. Yep, and apparently people are already assuming it's going to be trash or a Destiny clone, but I dont like to just read reviews for a release and base my opinion just from that. Personal experience goes a long way and it especially helps with a game that's meant to be pretty big. I did the same thing for both Monster Hunter World and Fallout 76. While one became a humongous disappointment in many ways, I thoroughly enjoyed my time with Monster Hunter World. 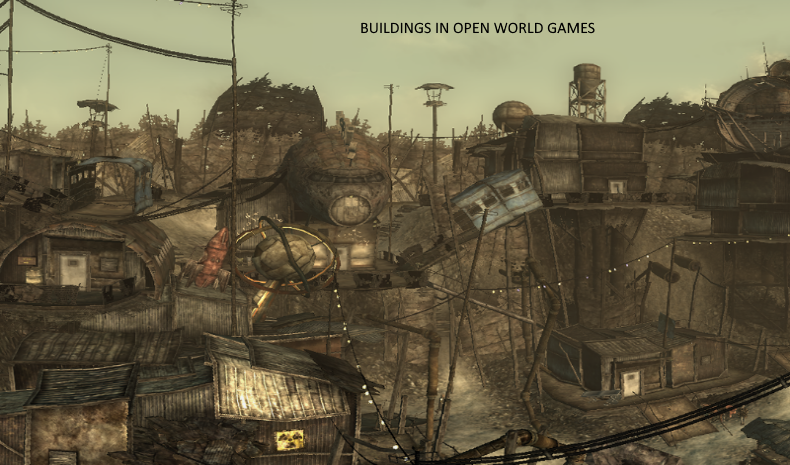 Fallout is just another story altogether but we've heard that before. With Anthem, I wanted to give it the same treatment. And this is honestly the first time in a long time when I decided to pre order the game and play the demo. Even though they were keeping a lot of stuff secret, my time with the demo was certainly positive. I'm looking forward to seeing what the rest of the game has to offer. I'm not even a stranger to the genre at all since I have plenty of time in Warframe and very minimal experience with Destiny, but I like the genre enough to see if another game can push the envelope. Plus, I'll support Obsidian time and time again for what they've brought to the gaming world. Some people anticipate this'll be the game that breaks Obsidian but I think they've got plenty under their sleeves to make a game that's both great and fun. And, I like spending countless hours finding loot and killing enemies. Before you know it you've spent the whole day just killing off bad guys and leveling up. Its a thrill and one I've always appreciated. Realistically speaking tho, I wouldnt be surprised if Anthem didnt break any boundaries when it comes to the genre, but I'm also not expecting them to just blow it like Bethesda did. I'm expecting a good game that I'm probably going to enjoy for a while. Like I said,I've played many hours of Warframe and I still have fun playing that. So itll be cool to sort of have the PS4 equivalent of that. The game comes out this week and since I already have the pre order and all that, I'll be ready to go once it launches. So, perhaps I'll be attached to my couch all weekend. And that's a-ok in my book. Hey, ki! Just wondering if you've heard of or have played Murdered: Soul Suspect. I decided to go ahead and join the rest of the world by getting a Steam account, and now I'm playing this game. I just love it to bits! Basically you get murdered right at the beginning of the game, and you play your ghost trying to solve your own murder, and of course the investigation uncovers more than just your murder. I'm not too far along in the game yet, but what I've done so far is just amazing. There are so many fun things that've happened, but my two highlights are: (1) possessing a cat and running around, jumping onto things, and climbing walls while inside her, and (2) possessing a medium only to have her push me out and realize I'm there. Last edited by Zhanteimi; 04-10-2019 at 06:24 PM. How did this work out for ya?